Ford's Colony in Williamsburg, Virginia is an ideal community for discerning homebuyers who desire luxurious living with amenities to remain active. Though construction of this development began in 1987, new construction continues today. There are many distinct neighborhoods within Ford's Colony. Some offer condos and attached homes while the majority includes custom single-family homes. Some neighborhoods in Ford's Colony are gated for those who prefer extra security. All residents have a variety of membership opportunities at Ford's Colony Country Club, which includes resort-style indoor and outdoor amenities. This community of over 3,000 homes offers plenty of activities, clubs, and events to stay busy throughout the year as well. Homeowners who live in Ford's Colony enjoy a variety of amenities within Ford's Colony Country Club. Membership options range from full golf memberships that provide unlimited play and access to a complete events calendar to social memberships that provide access to restaurants and other social benefits. The clubhouse at Ford's Colony Country Club is complete with a dining room, banquet facilities, meeting rooms, and a conference room. After a round of golf on one of the three 18-hole courses, residents can join friends in one of two restaurants or buy new gear in the fully equipped pro shop. Throughout this 3,000-acre community you'll find many ways to stay fit and enjoy the great outdoors. Residents can play on one of the 14 tennis courts, swim in two outdoor pools, jog on the miles of trails, birdwatch within the 200-acre wildlife preserve, or enjoy time with grandchildren on the playground. More thoughtful amenities include lakes and ponds, R.V. and boat storage as well as gazebos. The opulent homes within Ford's Colony are available in low-maintenance condos, attached townhomes, and single-family homes developed by several reputable builders. The neighborhoods throughout Ford's Colony include The Links, Heather Bank, Waterford Downs, Highland Hills, Killarney, St. Andrew's Village, Chisel Run, Nottingham Place, Brigadoon, North Turnberry, South Turnberry, Westbury Hills, Macgregor Downs, Royal Aberdeen, Southport, Western Gailes, Berkshire, Eaglescliffe, Knob Hill, and Westport. Those looking for a lock and leave, maintenance-free home might find the condos within the Eaglescliffe neighborhood appealing. Eaglescliffe will contain seven buildings within its 84-unit complex with floor plans that range in size from about 1,700 to just over 2,100 square feet. Homebuyers can select a new or resale condo that has one to three bedrooms and at least two full bathrooms with private, covered parking on the ground floor. Additional features include a 24-hour gated security, brick exteriors, granite countertops, and state-of-the-art appliances. The Links at Ford's Colony offers resale townhomes. There are about 80 one and two-story attached homes with floor plans ranging from about 1,300 to 2,200 square feet in size. Single-family homes in Ford's Colony can be found in over a dozen neighborhoods. New construction homes by Kar-San Development offer between 2,686 and 3,524 square feet of living space. These beautiful models designed by Brian Parsons offer three to five bedrooms, two to three-and-a-half bathrooms, and an attached garage. Since its inception in 1987, Ford's Colony has plenty of resale inventory as well. The majority of resale homes were custom built and offer 1,700 to over 5,000 square feet of living space. Resale custom homes have two to five bedrooms and two to three bathrooms as well. New construction single-family homes are also a popular option for custom homebuyers. However, custom homes must follow the style guidelines of the community and the builder must be approved as well. Residents of Ford s Colony enjoy spacious homes in a beautiful community within an exceptional country club setting. Active lifestyle homebuyers are drawn to the community's resort-style amenities and vibrant social scene. Whether you're looking to remain socially active or physically fit, you'll be sure to find a club, group, or activity that sparks your interest. Ford's Colony is home to over 50 clubs and activities that plan events throughout the year. Popular hobby-related clubs include the artists league, theater club, chess club, craft club, fly-fishing club, woodworkers, garden club, cards, computer club, and bible study. Exercising is never a hassle because there are a variety of classes and sports-related groups that include yoga, Pilates, water aerobics, golfing, dancing, biking and more. Other activities like healthy cooking class, wine and dine, and model railroad building are just a few examples of the wide range of activities happening in Ford's Colony. 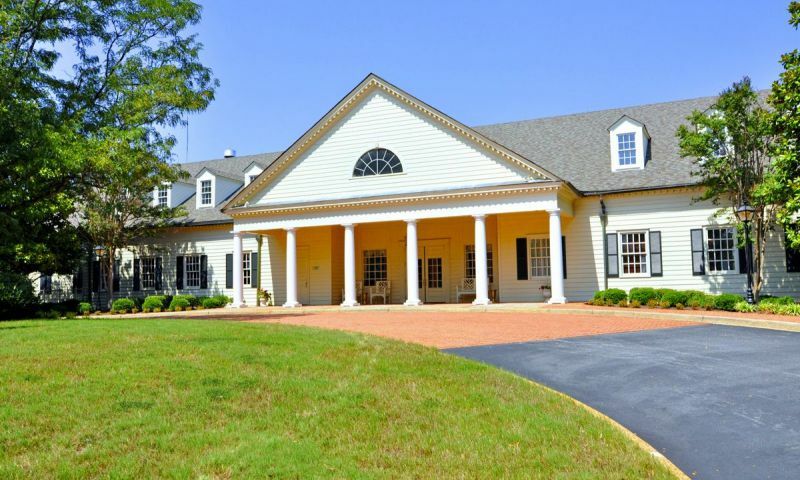 Ford's Colony is a country club community located in Williamsburg, Virginia. Homeowners never have to travel far for entertainment and education. Williamsburg is rich in history with art museums, galleries, libraries, parks, plantations and more. Plenty of shopping opportunities are abound in nearby Hampton Roads and Richmond. During the summer months, residents can take advantage of the beaches and recreational facilities found along the banks of the James and York Rivers. When traveling is on your agenda, you ll be pleased to know that there are a variety of airport options. The Norfolk and Richmond International Airports are both about 50 miles away from Williamsburg. While the Newport News Williamsburg International Airport is about 24 miles away from the community. Homebuyers who are looking for luxury, resort-style amenities should look no further than Ford's Colony in Williamsburg, VA. There are plenty of activities available in Ford's Colony. Here is a sample of some of the clubs, activities and classes offered here. Eaglescliffe Condominium Building I offers units that have one to three bedrooms and two or two-and-a-half bathrooms. Units located on the second and third floors offer between 1,862 and 2,127 square feet while fourth-floor units have between 1,706 and 2,051 square feet. Parking is located in a private, covered garage on the first level. Building II offers condos with one to three bedrooms and two or two-and-a-half bathrooms. Units on the second and third floors range in size from 2,033 to 2,122 square feet. Units on the fourth floor range in size from 1,714 to 2,029 square feet. Private parking is located in a covered garage on the first level. There are about 80 attached homes found within The Links neighborhood. Homebuyers can find an attached residence available on a resale-only basis. There were a variety of custom-designed models that offer between 1,300 to 2,200 square feet of living space. Attached homes within the links were built as a single-story, single-story with a loft, or two-story townhome. Please Note: Due to the age of this community, attached home floor plans are not available at this time. Kar-San Development offers single-family homes within Ford's Colony. Developed by Brian Parsons, homes offer approximately 2,686 to 3,524 square feet of living space. Homebuyers can select a model that meets their size and style requirements. Most of these homes in Ford's Colony have three to five bedrooms, den options, two to three-and-a-half bathrooms and an attached garage. Homebuyers can find a resale home that was custom built, or they can build the home of their dreams. Detached single-family homes throughout Ford's Colony range from 1,700 to over 5,000 square feet in size. Resale homes were built with two to five bedrooms and two to five bathrooms. New construction single-family homes must be approved and must follow designs that have a Colonial, Federal, Georgian, or Greek Revival motif. Please Note: Due the size and age of this community, custom floor plans are not available at this time. Ford's Colony is the premier active adult community in Virginia. If you want custom homes built the way you want, this is the community for you. Luxury, style, sophistication, you name it. The amenities are incredible, but unlike many other communities, you have lot of options when it comes to homes styles, upgrades, and custom features. This is the best decision we've made. I have been a resident in Ford's Colony for almost ten years. As a retiree, I was seeking a community that not only offered me the types of amenities found in many 55+ communities, but an upscale type of living that would allow me to enjoy my privacy. Ford's Colony has provided that and more. I don't play golf, but there are three fantastic courses here. Not to mention a great clubhouse, gorgeous pools, tennis courts, tons of clubs in which to join (which I did and have made some very strong friendships along the way). I highly recommend Ford's Colony for those seeking a very special, gated, picturesque community that has spectacular homes of varying sizes and prices; a place to meet others if one chooses to; and a central location to all that is wonderful about Williamsburg! We built our dream home here in one of the gated neighborhoods and absolutely love it. There are plenty of options and we have always wanted to build a custom home exactly the way we wanted it. The process was very smooth and our home is perfect. The curb appeal is gorgeous with all the traditional designs and the mature landscaping is the finishing touch. We also bought the full golf membership to the club and get a lot of use out of it! The golf and tennis are both fantastic, wonderful restaurants too and then a great gym and pools to work off all the overindulgence's! 55places.com is not affiliated with the developer(s) or homeowners association of Ford's Colony. The information you submit is distributed to a 55places.com Partner Agent, who is a licensed real estate agent. The information regarding Ford's Colony has not been verified or approved by the developer or homeowners association. Please verify all information prior to purchasing. 55places.com is not responsible for any errors regarding the information displayed on this website.